Roosevelts elks and Rocky Mountain elks are cousins in one family. They are both ruminants. They have similar body’s size, as well as colors. There aren’t any special patterns on the skin of each type. Without decent knowledge, you really can’t the difference between them. They are among the most common targets for hunting. So it’s not good if you fail to recognize them. Imagine that you are bragging about killing a Roosevelt elks, the largest subspecies of elks. But right after that, your friend confirm it is a Rocky Mountain one. This kind of embarrassing, isn’t it? These two animals actually have major differences, mostly comes from their habitat. Although they can be found together in some places, their own favorite living environments aren’t the same. That’s the biggest advantages that we can use to hunt them down. When comparing two subspecies, the antlers are the most obvious difference. Rocky Mountain bulls have bigger antlers. They are also more beautiful as they have longer tines and are more slender. Rocky mountain elks are slightly smaller in size according to experts. But it’s just personal opinions and there is no exact answer. Typically an adult elk can weigh 700 to 1000 pounds, regardless what subspecies it is. Many hunters claim that the Rockys are lighter in color. But again, it doesn’t have to be always true. Appearance doesn’t play much in distinguishing the two types of bulls. But if you can combine the outlook with other information, you can feel more confident in recognizing them. So how can we differentiate between these two bulls? The answer lies in the environment where they live. While the Roosevelts elks love coastal jungles, the Rocky Mountain elks prefer highlands open forests. Each subspecies have developed their own style of survival in each type of habitat. Rocky Mountain Elks are found on most mountains to the West of the U.S, in the Cascade Range and other nearby highlands. You can find a large amount of them in Yellowstone Park, in Olympic National Park, and on Montana’s Sun River. They also appear in other locations all over the U.S.
That is why they are more popular than their cousin, the Roosevelts. The home of Rocky Mountain Elks can expand miles away from their bedding areas. Their feeding grounds are wide open forests with natural vegetation. They travel quite a distance every day to find green and fresh vegetables. Because they move far away from their bedding areas, it isn’t easy when hunting them. But you still have some advantages. Open grass fields and highlands’ dry, rough ground makes your movements swiftly and convenient. It also provides a wider and further vision. You can see the animal from afar, and choose the best direction for approaching. Tracing down a Rocky Mountian elk from the bedding areas is hard. But everything is easier right after you find them. You can shoot it with your bow or gun as normal. Or you can use calling tactics to increase the odds of hitting them. 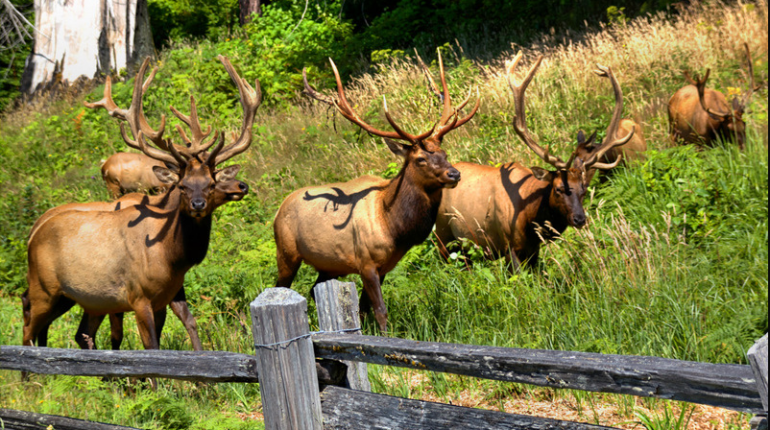 Rocky Mountain elks have the larger population and wider distribution. So hunting them is a piece of cake for some hunters. 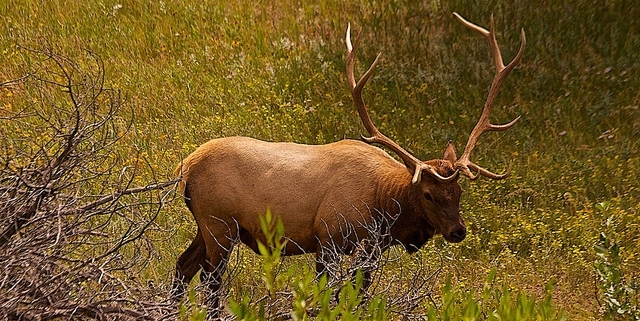 Roosevelts elks, in contrast, are tougher due to its distinct habits and living environments. The Coastal Range in the West of the U.S, many big rainforests lies. These evergreen jungles, where the annual rain level reaches 70 inches, are ideal for ruminants. And this is where you can find the largest herd of Roosevelt Elks. The Roosevelt elks are bigger in size than their cousins. They are the biggest subspecies of elks in the world. The size of the Roosevelts is amazing, but their antlers are little disappointing. You can see by your eyes that the Roosevelts’ antlers are significantly smaller than the Rocky’s. Unlike the Rocky Mountain elks, these Roosevelts tend to stay in a smaller home. They often look for bedding areas near their feeding grounds. Their favorite places are logged areas and slopes, in which they settle as home. And if they are satisfied with it, they can make it a permanent home. They don’t move much to seek foods, as there always full of vegetables and fruits in the rainforest. So they just live around where they sleep, which make it easier for the hunters. However, hunting those bulls can be quite challenging. The Roosevelt Elks can be one of the hardest moose to kill. It’s because they don’t bugle as much as other bulls. You can use your ear to easily locate their position. You have to be patient and trace their them down by following their marks. Another drawback is that they live in the wet terrain of rainforests. These kinds of ground obstruct hunter’s movements or even impair them. Even experienced hunters can make wrong moves and waste a lot of time as well as energy to get out of the damp. The Roosevelts elks will have happily escaped by the time you solve the terrain problems. Although killing Roosevelt elks is hard, it isn’t impossible. You must learn how to walk and move in the rainforest. Also, you have to recognize the obstacles and how to pass them. Being stuck in rugged areas is the most common reason for failing the hunt in rainforests. Then, you need to learn how to find out the bull’s bedding grounds. As said, the Roosevelts tent to use logged areas and slopes as the bedding grounds. 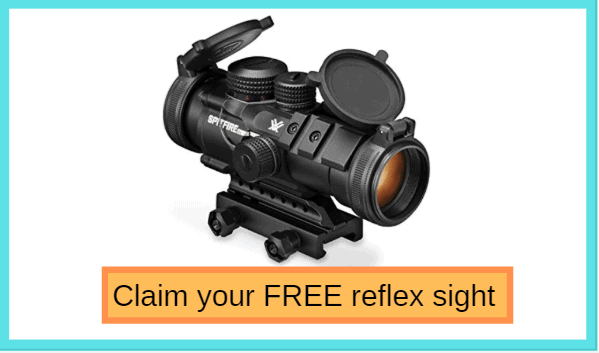 So look for these signs and you will find the target. The animal must not so far away..
You need to look for them by your eyes as they don’t bugle much. They don’t bugle means if you call them with calling tools, they won’t reply. But some have tried calling tactic and claimed that it still worked. When the moose is located, your job now is to close the gap and shoot them in their fatal zone. 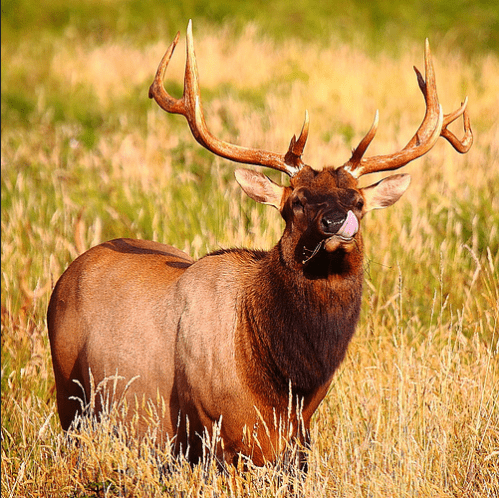 The greatest difference between Rocky Mountain elks and Roosevelt elks is their habitat. The former live in high mountains while the latter reside in coastal rainforests. Each subspecies have their own value and attraction, as well as methods to hunt.